A Cinderella story of sorts, Fashion Lala stars a little girl named Miho who doesn't get along with her family. Miho loves to design clothing, but her aunt and three cousins don't believe that such a young girl is capable and mock her designs. Meanwhile, a contest for the new "Disco Queen" is coming up, and Miho wants nothing more than to be able to design a dress for someone to wear to the competition, since she's too young to enter herself. With determination and a little bit of magic, Miho's dreams just might come true! 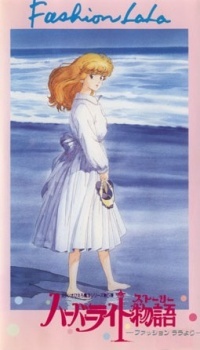 Watch Harbor Light Monogatari: Fashion Lala Yori Episodes Online at Animegg.org. Harbor Light Monogatari: Fashion Lala Yori is available in High Definition only through Animegg.org. Choose an episode below and start watching Harbor Light Monogatari: Fashion Lala Yori in Subbed & Dubbed HD now.